Sainik School Mainpuri, Uttar Pradesh, Is Appointing Eligible People To Various Posts Such As, Assistant Masters, UDC, LDC And Other. So Interested People Can Apply For This Job Through Offline Mode, Within The Given Time Period. Kindly Do Check Out The Official Advertisement For An Accurate Information And Instructions ,Which Is Provided Down Below. 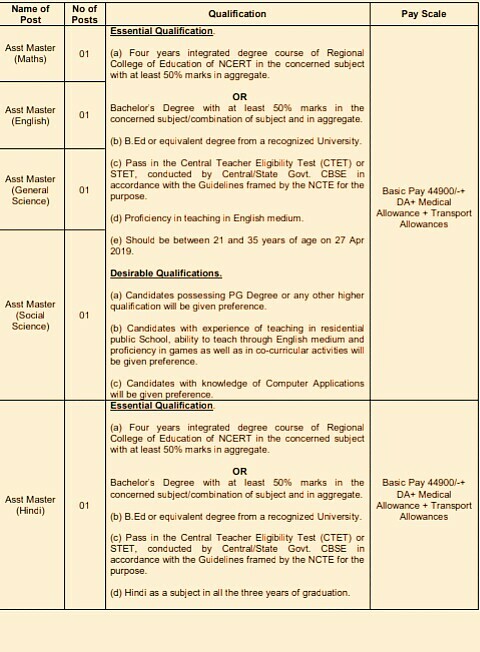 Various Vacancies →21 Vacancies, Kindly Do Check Out The Images Below For Name Of The Posts, Educational Qualifications, Age Limit & Pay Scale. B. 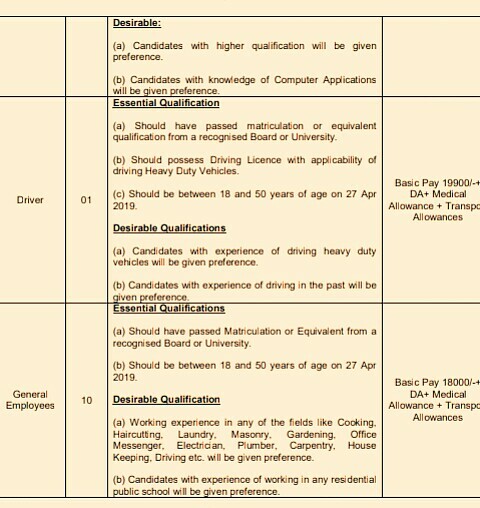 Eligible Criteria For Assistant Masters,UDC, LDC, Driver Job Vacancy In Sainik School Mainpuri Recruitment Notification 2019. Age Limit →Check Out The Images Below For The Concern Posts. Mode Of Examination/Selection Process →Selection will be made based on individual performance in written test, skill test and interview. 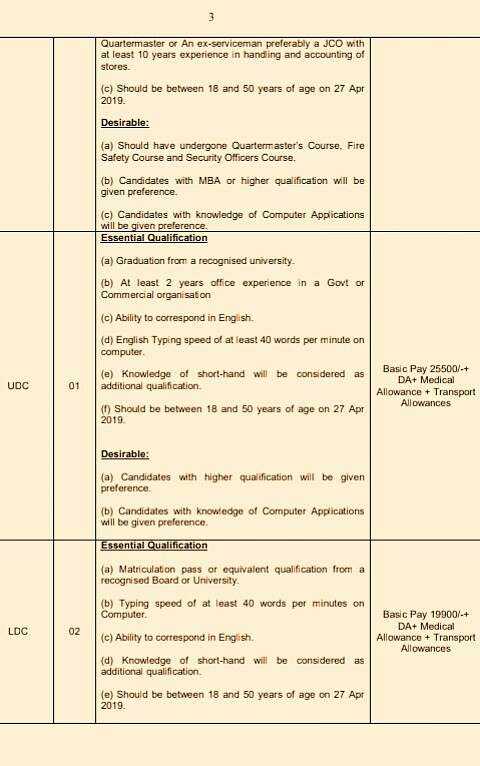 Shortlisted candidates meeting all eligibility criteria will only be called for written test, skill test and interview. No TA/DA will be admissible for attending the selection tests. 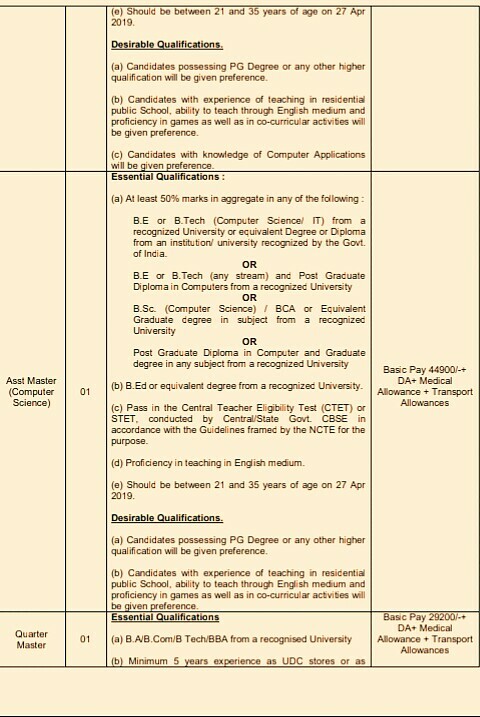 Offline Application/Examination Fee →₹500 For Unreserved Candidates & ₹250 For Other Reserved Candidates, Through Demand Draft Payment Mode. How To Apply/Last Date For Offline Application Form Submission →Eligible and interested candidates may apply in the prescribed application format which may be downloaded from Zila Parisad Mainpuri website www.mainpuri.nic.in. Sainik School Mainpuri, Village- Nouner Kharra, Agra Road, Tehsil- Sadar Mainpuri, District-Mainpuri, Uttar Pradesh-205001 on or before 27 Apr 2019 (R) 27 Apr 2019. For More Info →The Official Website Sainik School Mainpuri, Uttar Pradesh. Now Apply For This Job Of Sainik School Mainpuri, Uttar Pradesh Recruitment 2019. Click Here To Download Both Official Advertisement & Application Form.